Profile Response: Tony Sciotti, Louisville Slugger, Louisville, KY | How Will We Live Tomorrow? Bat day at Connie Mack Stadium, 1965: I got a Louisville Slugger engraved with Richie Allen’s signature. I slept with it that night, hoping some of his power would rub off on me. I am enthralled by factory tours, amazed at the complexity of fabricating everyday objects and the sheer volume of stuff we make. 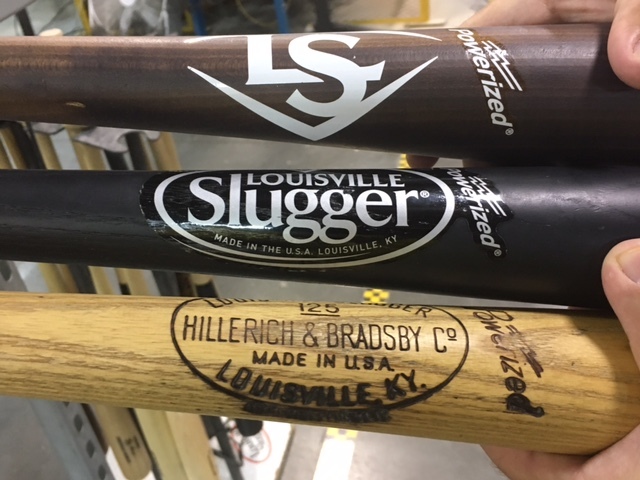 Louisville Slugger creates 1.8 million bats a year in a factory that occupies the first floor of an industrial building in downtown Louisville. The place seems small for such volume, especially since groups on factory tour wind through the workplace seven days a week. Louisville Slugger bats fall into four main categories: custom bats made for professional baseball players, retail bats sold throughout the world, commemorative bats, and miniature souvenir bats. Seventy percent of MLB players use Louisville Slugger bats. The company makes 100 to 120 bats per season for each of them. A player typically uses a bat for four to six games. 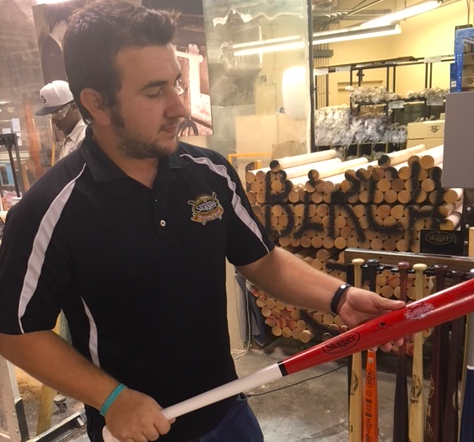 Louisville Slugger will turn a custom bat for any player, modifying the weight, length, profile and wood to his preferences, but most select from the over 3,000 unique bat designs that Louisville Sluggers has created over the years. The tour begins with a demonstration of old-fashioned hand turning with caliper measurements to replicate a particular profile. Hand-turned bats made between 1880 and 1980 took thirty minutes to shape. Today, retail bats are shaped on a turning lathe in 25 seconds. They produce 2,000 a day. 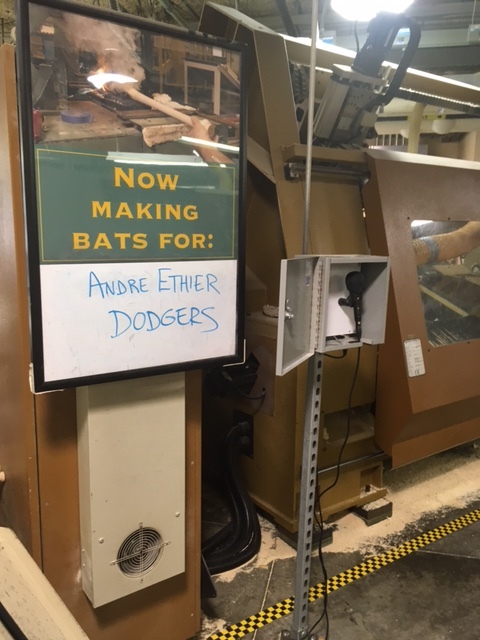 As I have observed on other factory tours, the more precise work is the most automated, Bats for specific major league players are made in small batches on a CNC Lathe (Computerized Numerically Controlled) that fabricate identical bats within 1/1000 of an inch even faster. Once the wood is turned, bats are stained and finished. Although Louisville Slugger can make a bat any color, there are specific MLB approved colors and stains, and three label options. “Don’t hit the ball on the logo. It is placed purposefully in the area of weakest grain.” Every MLB player also gets ten pink bats on Mother’s Day, which are auctioned off after the games to raise money for Breast Cancer. The factory has overhead misters to keep the relative humidity at 40%. 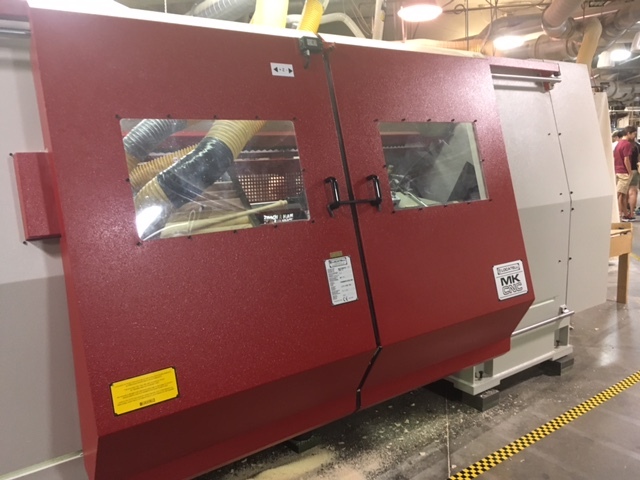 It generates 35,000 pounds of sawdust per week, which a chicken-farming cooperative in Indiana collects for roosting. 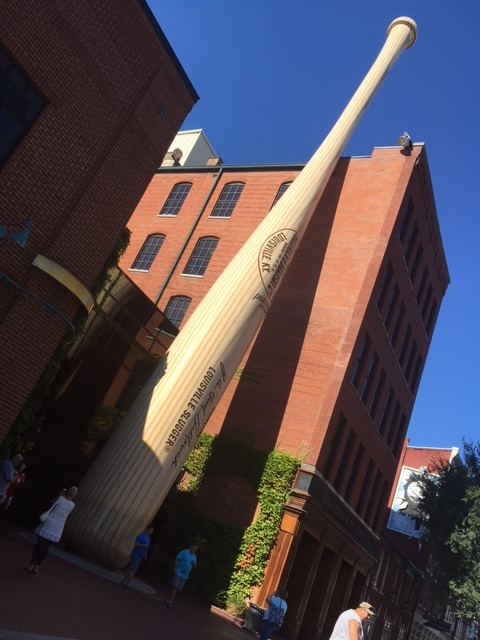 Almost half of the bats Louisville Slugger makes are commemorative or souvenir. Coca-Cola orders 25,000 personalized bats a year. Louisville Slugger makes bats for all-star games, for the President. Everyone loves a Louisville Slugger. 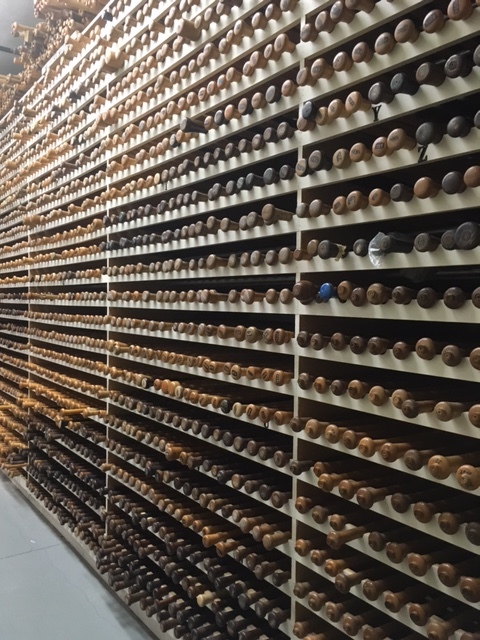 Tony took me inside the Bat Vault, where they preserve more than 3,000 custom designs created over one hundred years: the bats of all the greats in the game. “Wow!” I exclaimed the moment I entered. 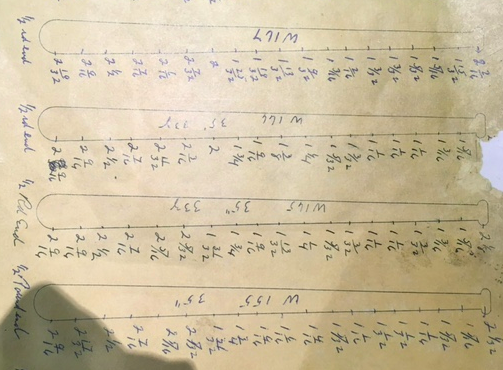 Tony smiled, “everyone says that.” Each unique design is categorized by the player’s last initial and a chronological number. Tony took down R43, a bat created for Babe Ruth. Several players have multiple bat designs to their credit. They change bats throughout their career or use different bats for different game conditions. Tony showed me Ted Williams’ hand drawing of the exact dimensions he required on his bats. So much of our culture is crammed into this narrow space. After the tour Tony showed me around the adjacent museum. Over 300,000 people visit the complex every year. The exhibits are interesting, but what struck me was how the factory and museum reflect the evolution of our economy and society. A hundred years ago, few people would have visited Bud Hillerich to watch him turn bats, let along pay for the privilege. 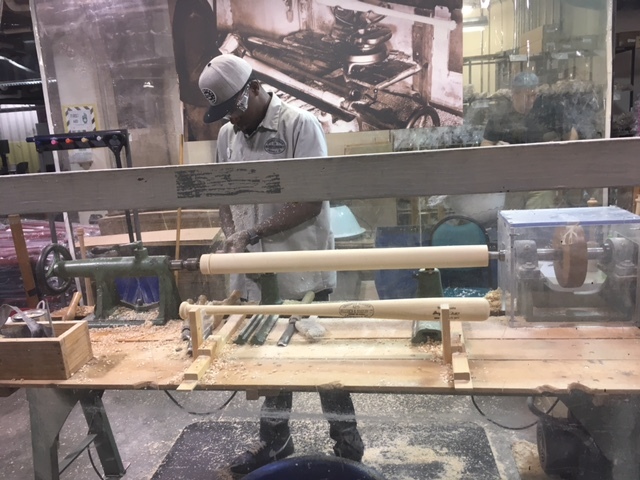 Today Louisville Slugger makes many more bats, but they also make a great experience for people with time on their hands and money to spend. More people work in the museum than on the factory floor. We don’t need as many people to create bats; we employ more to tell the story. This entry was posted in Responses and tagged Louisville Slugger, Louisville Slugger Factory and Museum, Tony Sciotti. Bookmark the permalink.